"My dad sold me to a pack of werewolves to settle his gambling debt." 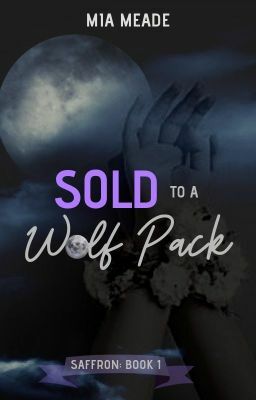 ❀ Three Books in One: Sold to a Wolf Pack | ✔ Saved by a Wolf Pack | ✔ Loved by a Wolf Pack | Ongoing ❀ A fake Omega: Saffron is a rogue, but when her dad sells her to a pack of werewolves, she also has to pretend to be an Omega. Good thing she has a plan: to escape the first chance she gets. A not so mean Alpha: Logan just wants to find his mate and his happily ever after, but instead of the perfect Luna, he gets a weak, frightened Omega. Good thing his dad has a plan: make everyone in the pack mistreat Saffron so she'll finally stand up for herself. An epic romance: Saffron and Logan are meant to be, but will they realize it before it's too late? Not everything is as it seems, and with an enemy threatening to destroy the pack, time is running out. ❀ Cover art by STAWP art contest winner, @toolong_tooshort ❀ 167,102 words ❀ Ranked #1 in: Werewolf, Paranormal, Romance, Teen Fiction, Humor, Fantasy, General Fiction, Action and even Vampire!